Like all my reviews, this is a down and dirty, no mumbo jumbo review using my real world experience. 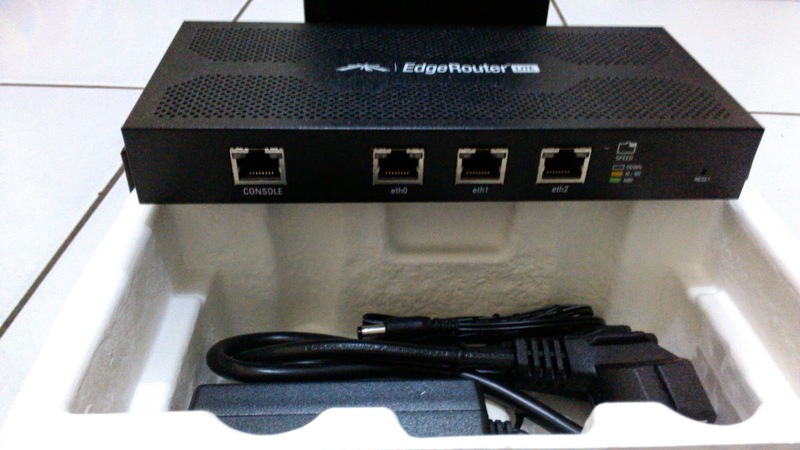 Today we will be looking at the Ubiquiti EdgeRouter lite (ERLite-3). If you’re not familiar with Ubiquiti, (http://ubnt.com) they are a manufacturer of wired and wireless networking gear built for commercial and industrial use. Anyone who knows me knows I won’t let a little thing like that keep me from using it at home. I have a Cisco modem, Open-mesh access points and now a Ubiquiti router. Disclaimer: None, this equipment was not provided to me by the manufacturer, I obtained it myself. Design: The industrial design of the ERLite-3 is nice. It’s a simple metal box with 3 gigabit ports, a console port (for you CLI junkies) and a power port (on the back side. Size: I won’t lie; this thing is small. Coming in at 3” x 5” x 9.5” and weighing in at less than 2 pounds, it’s much smaller than the ASA5505 that it replaced. Configuration: Ubiquiti has a really nice user interface they call the EdgeOS. It’s easy to navigate, provides a tone of useful information about the device and what’s going across it and provides some wizards to help you get up and running quickly. I had the router up and running with the basics in less than 5 minutes. Features: being a commercial device I would expect it to have lots of features and options. It does indeed have a nice selection of things to play with. You can configure static routes, it supports OSPF, RIP , and BGP. 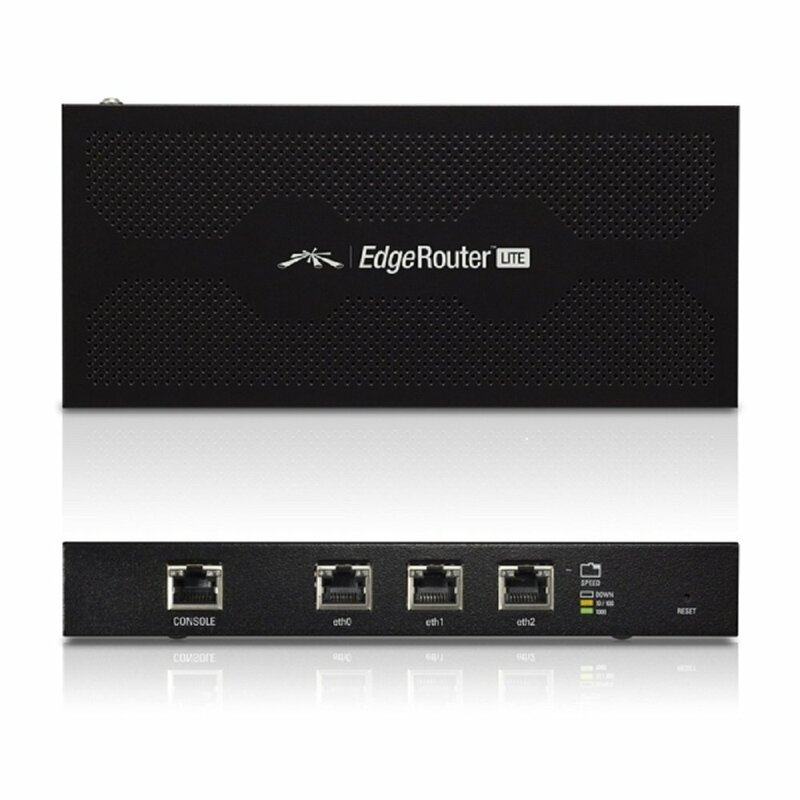 It has an integrated full featured firewall, NAT translation, can be used as a DHCP server, supports QoS, supports IPv6, does site to site ipsec and OpenVPN VPN, L2TP/PPTP remote access vpn, can be configured using gui or CLI, and has a nice suite of monitoring and admin tools. Layer 3: Yep this little guy is a layer three device (DUH) that can handle 1,000,000 pps with 64 byte packets and 3 Gbps with 512k or larger packet sizes. Not too shabby. Price: I hate to use the word cheap, so let’s use inexpensive. The ERLite-3 has a MSRP of $100.00 I picked mine up on amazon for $92. No wireless: I’m listing this because inevitably someone will ask “does it have built in wireless?” NO. This is a commercial class device where routers and wireless are generally separate device in the infrastructure. POE: No this device doe not have POE, nor does it support POE pass through. I wouldn’t expect it to at this price point. Just putting it out there , because we all know someone would ask. Configuration: I know, I know… I have Configuration as a PRO, well there is one little niggle that made me also put it here. The wizards to help you set up the device are great, unless you want to use an IP address scheme different than the 192.168.1.0/24 that it come with as a default. The wizards will allow you to put in a different address scope, but then completely ignores it and sets up your network with the default scheme anyway. While not a huge deal it does mean that you will need to go make some manual changes to your DHCP scope, your interfaces and the like after you run the wizards. Obviously if you use the CLI and configure it that way you don’t have this issue, but let’s face it I’m a lazy mouse jockey. Warranty: Ubiquiti provides a one (1) year warranty. Looking at the tally sheet, the PROs out number the CONs by a large margin. This is really a great piece of equipment, especially at a sub $100 price point. It is silent, inobtrusive, and so far reliable. I have also noticed a consistent increase in my over internet speed since switching over to this device. 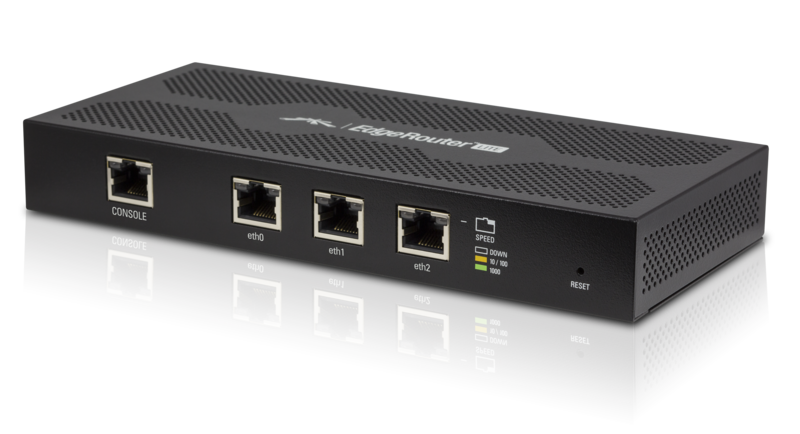 So If you’re looking for a great router and POE and built in wireless are not an issue for you, the ERLite-3 is a no brainer decision. So, you’ve never heard of OrangeMud (www.orangemud.com)? Yeah I hadn’t either until last year when a good friend and fellow runner (Yeah you, Ed) introduced me to their stuff by giving me his Double Barrel HydraQuiver. I will say this before I get into the review, if you are into buying American designed and American made (As a note, OrangeMud is based out of Corona California) products, like I do, you need to check them out. OK enough chit chat let’s get to it. Disclaimer: None, the manufacturer did not provide this to me, though I wouldn’t turn down anything from them (hint, hint Josh). Breathability: The VP2 is made from a mesh patterned synthetic material. It’s lightweight, allows plenty of airflow when in use and so far has proven to be extremely tough. Durability: I’m not going to lie, I’m rough on gear, but the VP2 has proven to be just as rugged as the Double Barrel Quiver it replaced. I’ve had it for a while now, and put well over 500 miles in while using it. It’s been in the woods, and the city and has had zero issues. Storage: The VP2 has plenty of storage space (198 cubic inches). Two (2) shoulder pockets that can accommodate smaller items like protein bars, gel packs, and energy chews and two (2) front pouches that are big enough to hold items like my phone (I use either a Nexus 6 in a case or a Note 4 in a case) with no issue. All of the pockets are made of a nice stretchy material so you can jam-pack them if you want. I routinely carry 3-4 gel packs in each shoulder pocket, my phone in a front pocket and whatever snack I want quick access to in the other front pocket. If that isn’t enough space for you you can buy an optional accessory pocket that can go in the elastic lashing straps between the bottles. Hydration: The VP2 comes with two (2) 20-ounce bottles but can fit bottles up to 24 or more ounces thanks to the adjustment straps on the bottle sleeves. Adjustability: The VP2 has 2 adjustment points. The side straps ,which you should set & forget and the chest strap which you should use for your fine tuning. Basically you put the thing on and make the side straps snug, really snug. Then you use the chest strap to find the right tension to keep it in place. Comfort: The VP2 is very comfortable to wear, like the Double Barrel I have worn it for hours at a time and never had any issues with discomfort or chafing. The design of the mesh allows plenty of air flow and does not retain moisture. Fit: OK, I’m a big guy; more than a couple of people have called me a Sasquatch. I’m 6’3” and anywhere between 235 – 250 pounds depending on the time of year. The VP2 fits me but it’s a little small in my opinion. Not small as it it’s hard to get on and off or adjust; small as it the bottom of the pack falls in a spot that feels a bit awkward for me. I’ve let OrangeMud know that I would like to see a Plus sized version of the Pack and Josh Sprague (the owner and all around nice guy) has said that it is on the road map. If you’re 6’ or under and of a medium or slighter build this will be great for you. If you’re bigger in the chest region, or of a larger build, like I am, you may want to look at the Double Barrel HydraQuiver, though you do lose the front pockets with that model. Bottle Placement: I’ll admit it took me about 10 runs with the first HydraQuiver I had to get used to it. It takes a bit of finesse to reach behind your head and grab or place a bottle from the sleeve, though once you get the hang of it, it’s no big deal at all. In the beginning I probably dropped the bottles half a dozen times trying to put them back. They held up and are still in use today. Bottle Sleeve: I’m listing this here because the Double Barrel had a fit that held the bottles a bit snugger than the VP2 does. I’ve been told that people requested a looser fit because they wanted it to be easier to get the bottles out. OK I can deal with that; I use a spray on adhesive (the stuff used to make rugs less prone to slipping) to make the sleeve grip the bottles a bit more. Price: At $149 MSRP the VP2 is expensive, but like most things you get what you pay for. The VP2 is well constructed, and is made by a small American company. Factoring in that I’d say that it’s a little high but not outrageously so. Warranty: OrangeMud provides a 90-day money back guarantee, a one (1) year warranty on the workmanship of their accessories and a limited lifetime warranty on the packs. So looking at the HydraQuiver Vest Pack 2 , you can see the PROS outweigh the CONS. The pack is durable, lightweight, and good for road running & for trails. It has plenty of storage, and won’t chafe you, even after hours of sweaty use. Sure it’s a little bit on the expensive side, but you get what you pay for. Also your purchase is with small company designing and manufacturing quality products here in the USA, and that’s always a good thing. I can wholeheartedly say that the VP2 is Rob approved. Like all my reviews, this is a down and dirty, no mumbo jumbo review using my real world experience. We are taking a new direction today, this will be my first foray into non-tech gear reviews. What are we going to see today, what has the dubious honor of my first tech-free review? Carson Footwear’s Iguana Racers. If you’re not familiar with Carson Footwear (http://carsonfootwear.com/) I can’t say it’s your fault. They are new player in the footwear world, but at 2.5 years old they are definitely making their way into this ever-burgeoning field. I will say this before I get into the nitty and the gritty, if you are into buying American designed, American made (As a note, Carson Footwear is based out of Milwaukie Oregon), and almost entirely American sourced products, you need to check them out. If you like to buy from the underdog, the small guy, the hip new upstart, check them out as well. OK enough chit chat let’s get to it. Disclaimer: I contacted Everett Carson after a mutual acquaintance introduced me to the product, and he was gracious enough to agree to let me have a pair of his premiere offering for review. This will not influence my review, but in order to have full transparency I want to let you know. Breathability: The upper of the shoe is made of a tough, synthetic fiber in a tight mesh weave. It’s lightweight, allows plenty of airflow when in use and so far seems to be pretty tough. Weight: These shoes are light. I have big feet (size 13 or 14 depending), and shoes normally list the weight for a size 9-10. I can tell you that these are probably the one of lightest pair of shoes I own. 10.3 ounces is what the postal scale shoes the size 13 weighing at. Pretty light. Durability: I’m not going to lie, I’m rough on footwear, but these have been pretty darned good so far. I’ve run a couple hundred miles on the trails and the roads (combined) as well as walked around San Diego during Comic Con with these guys. They have also pretty much become my go to casual shoe, so they get a lot of mileage on them. Sole: The sole on these is pretty nice, aside from the lug pattern, which is good on the trails it’s made from lightweight polyurethane instead of your typical EVA. 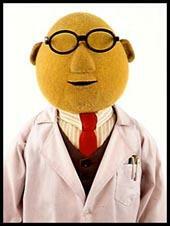 From what I have read this material wa created especially for Carson with the help of BASF. I’ve also read that it helps to dissipate force horizontally as well os vertically so it can be thinner than its EVA counterparts. Designed, Built and mostly sourced from America: For some of you that might not be a plus, but for me it is. I like supporting smaller, independent manufacturers and if they can add more to their local economy as opposed to somewhere in China or Bangladesh, even better. Trailability: The PU sole with its unique lug pattern is great on multiple terrains. Dirt, gravel, sand, muddy areas; they performed admirably under most conditions. The one area where I saw a dip in gription (grippyness and friction) was in wet surfaces. They can be a bit slippery on wet stones and grass. Not terrible by any means but it seems to be their weakest point. Zero Drop: I won’t mislead you; I like zero drop footwear. Inflated heel height is not natural and you shouldn’t stand for it (pun intended). I know a lot of people either don’t know the difference, don’t care, or think it’s weird but having the front and rear of your feet at the same point is where it’s at for me. For those who don’t know zero drop means that the front and the rear of the shoe are the same height. Typically running shoes have anywhere from 4mm – 16mm of difference between where the forefoot and the heel are in relation to the ground. Stack height: Measuring in at 10MM the Iguanas fall squarely into the mid-range stack height for me. My work shoes are zero drop, .5mm stack height VivoBarefoot RAs and my marathon shoes are Altra Paradigms with a whopping 34mm stack height. Don’t let the stack height fool you though, I have run 6-8 miles courses in these and they are as comfortable as some of my shoe with 18-24mm stack heights for the same distance. Price: At $100 they fall right into the upper price point for non-professional runners, but factoring in the fact that they are manufactured and assembled here in the USA it’s a bargain as compared to most other companies that have everything made overseas. Fit: These run a bit smaller than I am used to. Truth be told I probably need a size 14 in them. They have a narrow toebox, and crowd my caveman toes together a bit. Luckily though the upper material is stretchy and they expand on the landing portion of my stride to allow my toes to splay a little bit. No Rock Plate: Every shoe has to make compromises, weight for cushioning, breathability for waterproofing, or in this case no rock plate for flexibility. I get it, It’s not a huge negative but I wanted to make sure I let you know, being a minimalist shoe, they are very thin and flexible, which means no protective plate. For me that’s no a big deal but for some people it may be. Warranty: Carson provides a one (1) year warranty on the workmanship of the shoes. You’ll get a nifty warranty card with the serial number of your shoes when you get them. Packaging: like most shoes, they come in a box, but in that box is a nice bag to store your shoes in. In a world where companies like to give you less and less, it’s a nice touch. So looking at the Iguanas as a whole, you can see the PROS well outweigh the CONS. The shoes are durable, lightweight, good for road running, and great for trails. They are a little bit on the expensive side, but you get what you pay for, and really don’t you want your feet to have the best quality you can get for them? If you have wide feet consider getting a size larger than you usually wear. Don’t worry there are different patterns for the shoes, so you don’t have to have reptiles on your feet if you don’t want to. After a couple hundred miles and my daily life I can say that Carson Footwear is Rob approved.